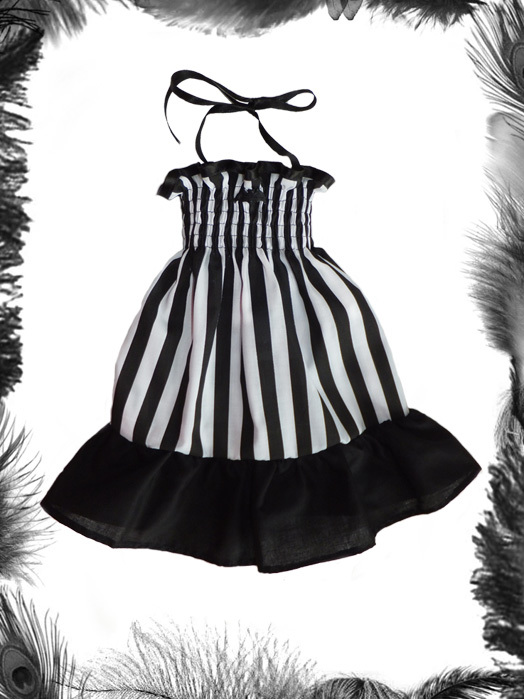 Baby Alternative Stripes & Bat Summer Dress. Available in 3 colours: Black White, Black Red, Black Hot Pink. Cotton with Ribbon tie halter straps. Mini Satin Bat Motif at center front. Matching bloomers can also be made - email for details.